We have five galleries located in the South West of England. Each gallery has a wide range of original artwork, limited edition prints, and sculptures from noted and award winning artists. We also offer a first class bespoke framing service, as well as a selection of readymade frames and mounts available in store too. 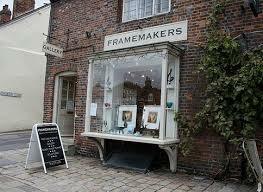 Please Note: Our Newbury gallery has two steps into the gallery. Our gallery staff are on hand to help with accessibility needs. Please note: Our Marlborough gallery has two steps into the gallery. Our gallery staff are on hand to help with accessibility needs.